Typing Master Pro 7 (Licensed & Portable) !! Today I'm gonna share Typing Master Pro 7 with you. For your convenience, I've uploaded a portable version. And most surprisingly, you're getting this version licensed! You don't need to install the software or enter a license. 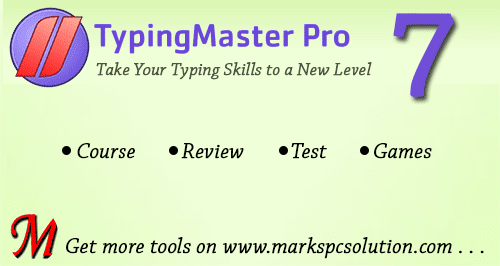 All of you know about Typing Master as a reliable typing practice software. So I've nothing to introduce about it. 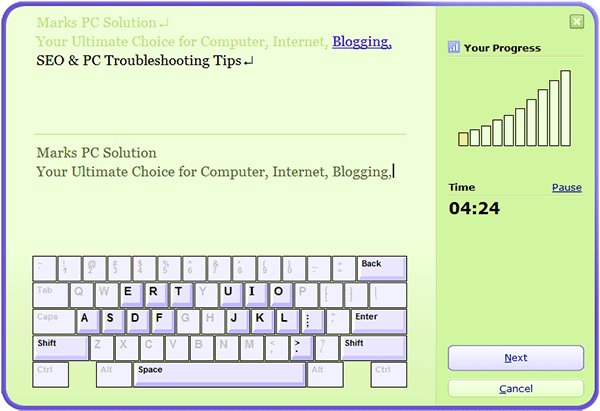 With the help of this tool, you can boost your typing speed within few weeks. I used to practice through Typing Master few years ago. Now my average typing speed is almost 60 to 70 wpm. If I practice few days more, I believe it will be at least 80! Typing Master Pro 7 works with any running version of Windows (From XP to 10). Download the zipped file from this link. It's 100% free of spam or virus. Keep the folder TypingMaster Pro (Portable) in a safe location. Now open the folder > Double click on TypingMaster.exe to run the software. Run Typing Master from your PC. Type your name and hit Enter. Start your practice by Touch Typing Course. It has 12 lessons. After completing the touch typing, you can move to the speed building course. You can also take typing tests and play games. You can change a course by hitting on the Change Course button at the top. Hope you all will enjoy typing . . .
Did you hit the download button? Birthday Wish from Google !! DX-Ball 1.09 Full Version Free Download !! Payoneer Support Center is Really Helpful . . .
Google Talk is Terminated . . .